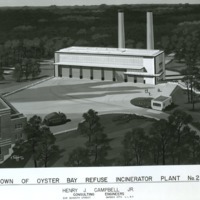 Architectural rendering of the Town of Oyster Bay Refuse Incinerator Plant No. 2. Architectural rendering of the Town of Oyster Bay Refuse Incinerator Plant No. 2. 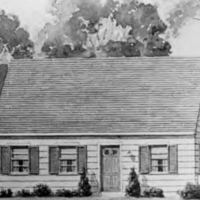 The rendering was created for Henry J. Campbell Jr. Consulting Engineers, by T. Pepper. Construction of the facility was completed in 1967. Tags: architectural renderings, incinerators, Old Bethpage, Town of Oyster Bay, Town of Oyster Bay Refuse Incinerator Plant No. 2.